The law of reflux thus assures the impossibility of inflation produced by overexpansion of bank credit. (Blaug, 1978, p. 202.). If you want to understand the law of reflux (and you should), then think of silver spoons. The silversmith shown in figure 1 can stamp 1 oz. of silver into a spoon. If the world needs more spoons, then silversmiths will find it profitable to stamp silver into spoons. If the world has too many spoons, then people will find it profitable to melt silver spoons. Unwanted spoons will “reflux” back to bullion. In this way, the law of reflux assures that the world always has the right amount of silver spoons. We could hardly ask for a simpler illustration of the Invisible Hand at work. But it costs something to stamp silver and to melt it, so the price of spoons will range within a certain band. It might happen, for example, that silversmiths only find it profitable to produce spoons once their price rises above 1.03 oz., while people only find it profitable to melt spoons once their price falls below 0.98 oz. If the costs of minting and melting were zero, then a spoon would always be worth 1 oz. This is a point worth emphasizing: The value of a spoon is equal to its silver content. An increase in the demand for spoons would not raise the price of spoons much above 1 oz, since new spoons would be produced as soon as the price rose above 1 oz. A drop in the demand for spoons would not push the price much below 1 oz, since spoons would be melted when the price fell below 1 oz. Likewise, if the quantity of spoons supplied became too large or too small, market forces would restore the quantity of spoons to the right level, while keeping the price at or near 1 oz. In figure 2, the silversmith starts being called a mint, and instead of stamping silver into spoons, the mint stamps silver into 1 oz. coins. The law of reflux works the same for coins as for spoons, always assuring that the world has the right amount of coins, and that the value of each coin always stays at 1 oz., or at least within a narrow band around 1 oz. The usual thought experiments of monetary theory don't work in this situation. For example, economists often imagine that if the money supply were to increase by 10%, then the value of money would fall by about 10%. But the law of reflux won't allow this to happen. Mints would only issue 10% more coins if the public wanted coins badly enough to part with an equal amount of their silver bullion. And even if mints went against their nature and issued more coins than the public wanted, those coins would be melted or stored, and the value of a coin would not deviate very far from its silver content of 1 oz. In figure 3, the mint re-invents itself again, this time as a bank. Rather than stamping customers' silver into coins, the bank stores the silver in a vault, and issues a paper receipt called a bank note. (Checkable deposits would also work.) This system has several advantages over coins. (1) It saves the cost of minting and melting. (2) It avoids wear of the coins. (3) Bank notes are harder to counterfeit, easier to carry, and easier to recognize than coins. The law of reflux still works the same for bank notes as it did for coins. If the economy is booming and people need more bank notes, then people will deposit silver into their banks and the banks will issue new bank notes. If the economy slows and people need fewer bank notes, then people will return their unwanted notes to the banks and withdraw their silver. Once again the thought experiment of imagining a 10% increase in the quantity of bank notes is pointless. Banks would only issue 10% more notes if the public wanted those notes badly enough to bring in 10% more silver. And even if we imagine that the banks took the initiative, printing 10% more notes and using those notes to buy 10% more silver, every bank note is still backed by 1 oz. and redeemable into 1 oz of silver at the bank, so every bank note remains worth 1 oz. In figure 4, the bank makes one more important change. Rather than requiring customers to bring in 1 oz of actual silver to get a bank note, the bank also accepts an equal or greater value of bonds, bills, real estate deeds, or anything else that can fit in the vault. This system has several advantages: (1) Handling bonds, etc. is easier and safer than handling silver. (2) The silver formerly deposited can be put to productive use. (3) The quantity of bank notes is no longer constrained by the amount of silver available. (4) The bank earns interest on its bonds, bills, etc. The law of reflux still operates as before, except that when people want more notes, they can bring in either silver or bonds, and when people have excess notes, the notes can be returned to the bank for either silver or bonds. As before, it makes no sense to ask questions like “What if the bank issues 10% more bank notes?” And as before, so long as every bank note is backed by, and convertible into, 1 oz. worth of assets, every bank note will be worth 1 oz. Just as reflux assures that the value of a spoon is equal to its silver content, reflux also assures that the value of a bank note is equal to the value of the assets backing it. 1. The silver channel: Unwanted notes are returned to the bank for 1 oz. of silver. Alternatively, the bank sells its silver for its own notes, which are retired. 2. The bond channel: The bank sells its bonds in exchange for its notes, which are retired. 3. The loan channel: The bank's borrowers repay loans with the bank's own notes. 4. The real estate channel: The bank sells its real estate holdings for its own notes. 5. The rental channel: The bank owns rental properties, and tenants pay their rent in the bank's notes. 6. The furniture channel: The bank sells its used furniture for its own notes. As long as enough reflux channels are open, it does not matter if a few channels are closed. Customers would not care if the furniture channel was closed, as long as major channels, like the bond channel, stayed open. The bank could take a more drastic step and close the silver channel, or could delay silver payments by 20 years, and as long as enough other channels stayed open, the law of reflux could operate as always, except that notes might be redeemed for 1 oz. worth of bonds, rather than 1 oz. of actual silver. The bank could even un-peg its notes from silver. Rather than redeeming a refluxing dollar note for 1 oz. worth of bonds, it could redeem dollar notes for 1 dollar's worth of bonds. As long as the bank's assets are worth so many oz., it doesn't matter if those assets are denominated in oz. or in dollars. There you have it. The closing of just one channel of reflux (the metallic channel), has fooled economists into wrongly rejecting the idea that modern bank notes like the US paper dollar are backed and convertible. Once economists reject this simple and obvious explanation for why modern paper money has value, they are forced to resort to the more exotic explanations offered by textbook monetary theories, which are anything but simple and obvious. Fullarton, John, Regulation of Currencies of the Bank of England (second edition), 1845. Reprinted by Augustus M. Kelley, New York: 1969. The guinea makes a fascinating story because its evolution reveals so many different monetary phenomena. It began its life in 1663 in the Kingdom of England as a mere coin, one medium of exchange in a whole sea of competing exchange media that included crowns, bobs, halfpennies, farthings, not to mention all the foreign coins that circulated in England, Bank of England paper notes, as well as the full range of portable property—like jewelery and art—and property-not-so-portable, say houses and land and such. If things had stayed that way, the guinea's life would be a boring one and I wouldn't be writing about it. But in the late 1600s the guinea crossed a line and became a very different thing. Rather than functioning as just one exchange medium among many, the guinea suddenly emerged as one of Britain's two media of account, the items used to define a nation's unit of account, in this case the £. Within a few decades it had wrested the medium of account function for itself, holding this pre-eminent spot until 1816, at which point the guinea was decommissioned. Interestingly, while the guinea ceased to exist in 1816, its memory was sufficiently strong that it continued to function as a unit of account, albeit a relatively unimportant one, well into the 1900s. More on that later. Whereas most of England's coinage at the time was silver, the guinea was a gold coin. Introduced in 1663 during the reign of Charles II, it was initially rated at 20 shillings, or one pound (£), by the monetary authorities (the mint and the king). Pounds, shillings, and pence, or £sd, comprised the English unit of account—the set of signs that merchants affixed to their wares to indicate prices. The pound unit had been defined in terms of silver coins for centuries, but the the decision by the mint to give a 1 pound (or 20 shilling) rating to the guinea meant that the pound would now be dually defined in terms of both gold and silver coins. However, according to Lord Liverpool, both the public and the authorities ignored this 20 shilling rating so that a market-determined price emerged for the guinea. In this way the guinea was no different from any other item of merchandise; its price floated independently according to the whims of buyers and sellers. This stands in contrast to England's silver coinage. Silver pennies, halfpennies, and farthings had an extra function; they served as the nation's medium of account. The pound unit, the £, the symbol with which merchants set prices or denominated debts, was defined by the nation's silver coinage. Put differently, by setting a farm's price at £10, a seller was stipulating that the farm was worth the amount of silver residing in a collection of pennies and farthings. When something serves as the medium of account, it's price doesn't float independently. Rather, the whole universe of other prices shifts to accommodate changes in the value of the medium of account. For example, if the value of silver were to have risen in the 1670s due to increased demand for silver jewelery, then the entire English price level would have had to fall. Alternatively, if the amount of silver in the nation's coinage was debauched, then the English price level would have risen. A change in the demand for gold in the 1670s, however, would have produced an entirely different result; the relative price of the guinea would have shifted, but little else. That's why a medium of account is so special. Unlike all other items, the price of everything pivots around it. The fact that the guinea's initial 1663 rating had been ignored was very important. Imagine that the authorities had been stern about enforcing it. Returning to our farm example, in setting the farm's price at £10, our seller would have been stipulating that the farm was worth either the amount of sliver residing in a collection of pennies and farthings, or the amount of gold residing in the guinea. A very different monetary system would have emerged; bimetallism. But more on that later. Liverpool tells us that the guinea fluctuated between 21 and 22 shillings in its first decades, but in 1695 its price rose rapidly to 30 shillings. This wasn't because of an increase in the demand for gold but a function of the quickening pace of clipping and sweating of pennies, which reduced the quantity of silver in the coinage. Guineas weren't the only commodity to rise in 1695; the entire array of English prices had to pivot around the diminishing value of the silver penny. Once the silver coinage was reformed (its silver content being restored) in the Great Recoinage of 1696, the price of guineas quickly returned to 22 shillings. Britain, which had been on a silver standard up to 1697, was now on a bimetallic standard, with the £ unit defined as the amount of silver residing in the English penny, and simultaneously the amount of gold residing in the guinea. The problem with the new standard was that in setting the guinea at 21s 6p, the Exchequer had overvalued gold relative to the market price, more specifically the silver-to-gold ratio prevalent in the rest of the world. By how much? In 1702 Sir Isaac Newton, Master of the Mint since 1699, concluded that 'Gold is therefore at too high a rate in England by about 10 pence or 12 pence in the Guinea.' In other words, the Exchequer should have announced it would only accept guineas at around 20s 6p, or 4.6% less than it had. What were the consequences of this over-valuation? All of the silver pennies began to leave Britain, gold coins filling the void. Given the choice between paying a debt or a tax in either an overvalued or undervalued instrument, people will always select to use the overvalued one. After all, buying 20 shillings 6 pence's worth of gold in France and using it to discharge a 21s 6p shilling tax liability in England resulted in a 4.6% profit (less transportation and minting costs). The undervalued instrument, in this case silver, is best used in other parts of the world where it is capable of purchasing a larger real amount of goods (or discharging a larger real quantity of taxes) than in the country in which it is artificially undervalued. This is, of course, Gresham's law; the bad drives out the good. So our guinea, which had started its young life as a mere medium of exchange, had not only graduated to becoming one of only two English media of account, but was responsible for the mass flushing out of silver from England. By 1717, the silver outflow was getting significantly bad that the authorities decided to do something about it. Newton, still Master of the Mint, noted that the market price for the guinea was around 20s 8d, given the exchange rate between silver and gold in other European markets, and suggested an initial rate reduction from 21s 6d to 21 shillings. For the next century, the English price level pivoted around the value of the gold guinea, until the Great Recoinage of 1816, at which point the guinea's life suddenly came to an end. Since the days of Isaac Newton, the guinea had been awkwardly rated at 21 shillings, or one pound one shilling. This must have made payments somewhat arduous since there was no coin that could satisfy an even 1 pound bill or debt, and people like round numbers. The decision was made to introduce a less awkward gold coin, the sovereign, with slightly less gold. The sovereign was conveniently rated at exactly 1 pound, or 20 shillings, the upshot being that the pound unit of account still contained just as much physical gold as before, but now a coin existed that corresponded with the exact pound unit. The guinea was dead. Well, not entirely. Though is was no longer being minted, the guinea continued to be used as a way to price items. According to Willem Buiter (pdf), auction houses and "expensive and pretentious shops" continued to set prices in terms of guineas through the 1800s and 1900s. Bespoke tailoring and furniture, for instance, was quoted in the legacy gold coin. The unit used was g, or gn, with the plural being gs or gns, although payments were made in sovereign coins or Bank of England notes. Doctor's and lawyer's fees, often known as "Guinea fees" we're advertised in terms of the legacy gold coin. Whereas common laborers were paid in pounds, payments in guineas was considered more gentlemanly. You can see it pop up in the literature of the time. In Arthur Conan Doyle's Sherlock Holmes tale the Adventure of the Engineer's Thumb a stranger offers Mr Hatherly, a hydraulic engineer who is down on his luck, a unique proposal. "How would fifty guineas for a night's work suit you?" The standard rate paid by Charles Dickens for contributions to his weekly periodicals Household Words and All The Year Round was half a guinea a column or a guinea a page. In his novels, the guinea pops up often. In Oliver Twist (set in the 1840s), a 5 guinea reward for information on Oliver is posted by the kind Mr. Brownlow. In more modern times, horses continue to be auctioned in terms of guineas. Now of course this is a bit of a come-down for the once almighty guinea. 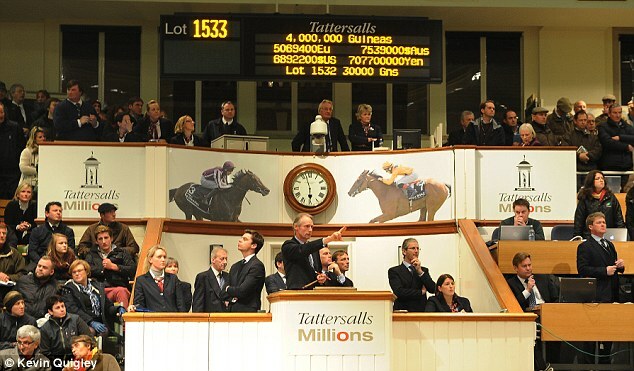 Serving as the unit at Tattersalls isn't the same as underpinning the entire price level. But at least its better than the sovereign, the coin that replaced the guinea, which has gone silent, or most other medieval coins for that matter, which neither circulate nor serve as legacy units. (1) The 1717 reduction of the guinea to 21 shillings was accompanied by the requirement that those guineas be accepted as legal tender at that price. Prior to then, only silver had functioned as legal tender, meaning that a debtor could only discharge a debt with silver coins. After the change, a debtor could choose to use either guineas or silver coins to pay off their debt, a decision made easier given gold's overvaluation. Lord Liverpool, A Treatise on the Coin of the Realm, 1805. Sargent & Velde, The Big Problem Of Small Change, 2001. Sykes, Banking and Currency, 1905. If short sellers are considered to be the Mussolinis of the financial market, then naked short sellers are its Hitlers. In this post I'll show that naked short selling isn't solely a hedge fund or equity market phenomenon. In fact, the good old fashioned practice of deposit banking amounts to what is essentially naked short selling, thus making staid bankers, and not hedge funds, the world's largest naked short sellers. This means that anyone who vilifies the naked short selling of equities must also be against the common practice of banking—a crack pot position if there ever was one. Short selling is when an investor borrows shares of, say, Microsoft, then sells those shares in the open market. At some point—either at the lender's behest or the investor's—the borrower will repurchase the shares in the open market and return them to the lender. A short seller hopes that the price of Microsoft has declined in the interim so that when the time comes to repurchase them, it will cost less money, thus resulting in a profit to the short seller. Which sounds odd, right? How can someone sell something if they haven't either purchased it or borrowed it ahead of time? No wonder people wrinkle there noses at the practice of naked shorting—it seem like sleight of hand! The best way to think about naked short selling is to turn to banking. Why? Because bankers engage in short selling every.single.day. Just as an equity short seller will borrow and then sell Microsoft with the intention of repurchasing it at a better price, bankers borrow and then sell dollars with the intention of repurchasing them at a better price. Apart from the respective instruments involved, dollars vs stock, there's no difference between what an equity short seller and banker are doing. So if bankers engage in short selling, do they act as mere regular shorts sellers or do they get naked? In the previous paragraph you may have noticed that I described banking as the borrowing of depositors' dollars in order to lend those dollars out. Because the dollars were borrowed prior to sale, this would qualify their activity as regular short selling, not naked short selling. But hold on, this isn't at all how banks function. Bankers don't wait for physical Federal Reserve dollars to be deposited by the public before selling them away—they short dollars whenever they wish, creating electronic deposits out of nothing in order to buy things like bonds or personal IOUs. Banks are engaged in naked shorting pure and simple: they sell a financial instrument that they never actually had in their possession. How do they do this? The key here is that banks don't actually sell Fed paper dollars short, rather, they sell dollar-linked IOUs (i.e. deposits) short. A deposit is a claim on the bank's capital that mimics Fed paper dollars by being indexed, or denominated, in terms of those paper dollars. It's similar to a Fed dollar, but it's an entirely different instrument. Circling back to naked equity short sellers, the same thing is occurring when a naked short is initiated. The instrument that they are selling short isn't a Microsoft share, but a newly-created IOU that is denominated in Microsoft shares. It would be as if I gave you scrap of paper with the words "I owe you one Microsoft share" on it. Rather than buy a real share, you could just hold the IOU I gave you. The instrument would look like a share, walk like a share, and even circulate alongside shares, however it would be an entirely new financial instrument. This ability to "print" new IOUs denominated in terms of Federal Reserve dollars (in the case of the banker) or in terms of Microsoft shares (in the case of the short seller) often results in a quantity of derivative units that far exceeds the underlying issue of base units. We get an inverted triangle of sorts where on top of a narrow base of Fed paper dollars is arrayed a much larger quantity of dollar-denominated deposits, often 10 or 20 times more. Likewise, the number of Microsoft-denominated IOUs that naked short sellers create may eclipse the number of actual Microsoft shares outstanding. It is the naked short seller's possession of a so-called printing press that draws the wrath of CEOs. The accusation is that a hedge fund can make a good profit by manufacturing and selling massive quantities of Microsoft-denominated IOUS in order to drive Microsoft's stock price down to zero, thus benefiting its short position. Emblematic of this belief is the battle waged by Overstock CEO Patrick Byrne against short sellers who had been engaging in naked selling of his firm's stock, which had fallen on hard times. As early as 2005, Byrne accused short sellers of creating a fake supply of Overstock shares (at one point reputably six times more than actual shares issued) in order to drive its price lower. Byrne went so far as to launch several lawsuits against the perpetrators. How legitimate is Byrne's concern? Let's return to our bank analogy. Is there anyone who would argue that because banks can create and short deposits willy nilly, they'll drive down the underlying Fed dollar's price towards zero (ie. create hyperinflation) and thus earn outsized profits? Of course not. Banks in the U.S. and Canada have been creating deposits for centuries without causing hyperinflation. 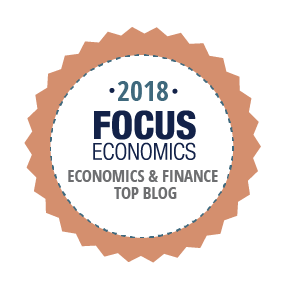 It simply isn't a concern because the issuer of underlying dollars, the Federal Reserve, stands ready to support the value of the dollars it has issued. It can provide this sort of anchor because it holds a variety of assets that can be mobilized to repurchase and cancel paper dollars, thereby removing any excess supply that might emerge thanks to competing issues of dollars by banks. Likewise, if naked short selling creates a glut of Overstock IOUs and begins to drive down the price of Overstock, then in the same way that the Fed can deploy its assets to remove the supply of Fed dollars to stabilize their value, Overstock's Patrick Byrne could have used his firm's assets to repurchase stock. If he chose not too do a buy back, one might wonder if his company had the assets on hand to begin with. To sum up, in the same way that bank issuance of dollar-denominate IOUs cannot drive the purchasing power of underlying Fed dollars down as long as the Fed has sufficient assets and chooses to use them, neither can naked short sellers drive Overstock prices down if the company has sufficient assets and is willing to conduct the necessary repurchases. So haters of naked short selling, are you consistent in calling for an outright bank on banking? You say that naked shorting drives down stock prices, which means you no doubt also believe that banks inevitably create hyperinflation, right? JKH has a post on the topic here, the Full Monty on Naked Short Selling. The textbook definition of money is anything that functions simultaneously as a store of value, a medium of exchange, and a medium of account. This is the monetary triumvirate, and we need to get rid of it. The first problem with this explanation is that all goods and assets function as stores of value, some better than others. Items that can't 'store' value would be be worthless because their lives would be too fleeting to provide any utility. Even an ice cream cone serves as a store of value, at least for a few minutes. So if everything serves as a store of value, then money must be that peculiar good that functions as both a medium of exchange and a medium of account, right? Wrong. All valuable things function as media of exchange, or, put differently, they all have a degree of exchangeability. A head of cabbage is a cabbage farmer's medium of exchange, since he uses it exchange with a food distributor, and it also functions as one of the distributor's many media of exchange, since he uses it to exchange with a grocer, and it also functions as one of the grocer's many media of exchange, since the grocer holds an inventory of cabbage in order it to exchange with the public. We can quibble over the general acceptability of any given medium of exchange; a dollar bill is more exchangeable than a cabbage, after all. But a dollar bill, like a cabbage, is not universally acceptable—try buying a house with it, or Microsoft stock. So if everything serves as a store of value to some degree or other, and everything serves as a medium of exchange to some degree or other, then money must be that peculiar good that functions as a medium of account. The upshot is that the only binary difference between the various goods and assets in this world is along the medium of account-or-not axis, both the store of value and medium of exchange functions being ranges or spectra, not binary categories. This means that a good is either a medium of account, or it isn't. There's no point in using an umbrella word like "money" anymore, since medium-of-account stands on its own as a useful definition. A medium of account, if you don't remember, is the good that we use to quote prices. There are only a handful of media of account in the world, with the great majority of things not functioning as media of account. Dollar bills are certainly a medium of account. Credit cards (combined with network fees) also function as a medium of account. There are weird artificial media of account, like whatever is used to define Chile's Unidad de Fomento. Commodities like cloth, or macutes, have served as media of account in West Africa, as have silver pennies in Europe. So let's retire that tired old triumvirate. The word money is redundant and meaningless; if we really want to divide the world into these and those, the medium-of-account bucket is about all we need. The other two functions, store of value and medium of exchange, are pervasive rather than exclusive (everything has at least a little bit of each), and therefore can't serve as the basis for drawing strict lines between goods. Having reduced the ECB's overnight target rate to +0.05% and the deposit rate to -0.2%, Mario Draghi confidently told those assembled at Thursday's press conference that the ECB wants to “make sure that there are no more misunderstandings about whether we have reached the lower bound. Now we are at the lower bound.” So it's official, according to its leader the ECB has run out of powder and can't reduce interest rate anymore. But that's simply not true. I figure that the ECB has at least a handful of interest rate reductions left in its arsenal before the true lower bound bites, especially given that it's now adjusting rates in smaller increments of 0.1% and not 0.25%. And if the ECB were to get rid of its pesky issue of €500 notes, it would have a whole extra round of reductions up its sleeve (more on that later). Shame on Draghi for claiming impotence when he actually has plenty of rate ammunition still left. The lower bound starts to bind when interest rates are brought sufficiently low that all those banks who own ECB deposits suddenly start to convert them en masse into euro banknotes. Banknotes yield 0%, after all, so if the ECB were to reduce rates on deposits to, say, -10%, then the prospect of costlessly converting those penalized deposits into holdings of 0% yielding notes starts to get pretty tempting. Central bankers are petrified of hitting this cash tipping point, so they refuse to institute anything below a 0% rate on deposits. That's why they call it the zero lower bound. But the true tipping point at which mass cash conversion kicks in doesn't happen at 0%, nor at -0.05%, and probably not even -0.5%. The reason for this is that cash comes with its own set of inconveniences. For banks, storing cash is costly: it requires a vault, guards, time and energy to count and sort the stuff, and finally it must be insured. The transfer of cash is also expensive: Brinks armoured cars must be hired and loading bays properly staffed. Compare this to an electronic deposit which can be costlessly stored, instantaneously transferred at no cost, and needn't be insured against robbery. Banks, anxious to avoid these inconveniences, are more likely than not to accept significantly negative rates on central bank deposits before they switch to cash. Imagine, for instance, cheque payments being cleared with daily shipments of cash rather than a click-of-a-button transfer of central bank deposits. It would be hellish. Or consider the huge inconvenience of conducting interbank payments on behalf of clients by shuttling cases of paper notes across town. No, if next month Draghi were to announce a reduction in the interest rate on the main refinancing operations by 10 basis points to -0.05%, and another one the next month to -0.15%, and another one after that, there would be no mass desertion of deposits for cash. Rates would have to go significantly below those levels before the actual lower bound starts to bind. There is a lower bound, but its certainly not at zero. This is where the ECB's pesky €500 note comes into the picture. The ECB has differentiated itself from almost all other developed country central banks by issuing a mega-large note denomination, the €500 note. The chart below shows the largest denomination notes issued by G20 countries in US dollar terms, with the Eurozone easily leading the pack. According to this WSJ blog post, the architects of the ECB decided to issue the €500 note because six of the founding members already had bills whose value exceeded exceeded €200: Holland, Belgium, Italy, Austria, Luxembourg and Germany, with the Bundesbank's 1,000 Deutsche Mark banknote tipping the scale at about €510. And since the ECB is explicitly modeled on the Bundesbank, that's how Europe got its €500 note. Nor is the value of €500s in circulation minimal. The chart below shows the nominal value (not the quantity) of euro notes in circulation by each denomination, with the value of €500 notes being eclipsed by only that of the €50. 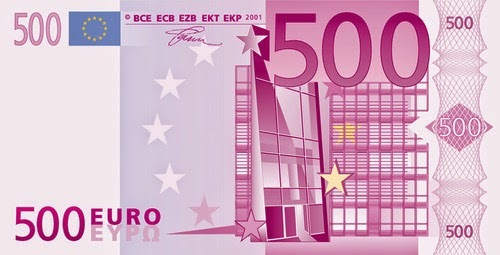 The €500 note creates a uniquely European problem because its large real value reduces the cost of storing cash and therefore raises the eurozone's lower bound. Think about it this way. To get $1 million in cash you need ten thousand $100 bills. With the €500 note, you need only 1,545 banknotes, or about one-eighth the volume of dollar notes required to get to $1 million. This means that owners of euros require less vault space for the same real quantity of funds, allowing them to reduce storage costs as well as shipping & handling expenses. In other words, the €500 note is far more convenient than the $100 note, the €100, the £100, the ¥10,000, or any other note out there (we'll ignore the Swiss). Thus if Draghi were to reduce rates to -0.25%, or even -0.35%, the existence of the not-so-inconvenient €500 very quickly begins to provide a very worthy alternative to negative yielding ECB deposits. The lower bound isn't so low anymore. Who loses by the €500's removal? Regular folks won't suffer much, but denizens of the underground economy probably will. The large-denomination euro is a convenient medium of exchange for criminals, corrupt government officials, and anyone seeking to avoid paying taxes. For instance, in 2010 the UK's Serious Organised Crime Agency required local banks to cease supplying British customers with €500 notes when it found that 9 out of 10 notes were used for illegal activities. Just look at the different demand patterns for the €50 and the €500 in the chart above for evidence. The €50 shows seasonal spikes at Christmas. That's because people withdraw notes at Christmas to make sure they are equipped for unexpected expenses while traveling. Demand for the €500 doesn't budge at Christmas. That's because crime isn't a seasonal enterprise, it's a year-around affair. So to sum up, Draghi is confused if he thinks he's actually hit the lower bound. Sure, he's brought rates down to zero, but the actual lower bound is a handful of rate cuts below that. The man has got more ammo than he realizes. And second, Draghi can get his hands on even more ammo by getting rid of that silly €500 note. It's existence only greases the wheels of criminal commerce, and insofar as further rate reductions could very well be necessary to help keep Europe out of a painful deflation, its mere existence raises the lower bound and thereby prevents those reductions from happening, thus hurting the regular European. That's two good reasons to get rid of the dang thing! Does the zero lower bound exist thanks to the government's paper currency monopoly?